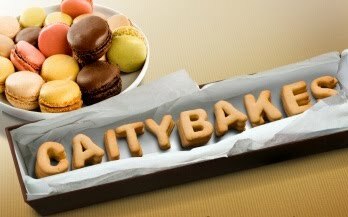 100 cookies on this plate. New Recipe. The guinea pigs for this one? Attendees of my Christmas party. The result? Mayhem. My advice to you? Make these now, and serve them to anyone and everyone you know. I've already received requests to make them for a few other parties I'm attending this holiday season. Oh, also, as I've written before, my roommate's allergic to life, so I made these Emily-Safe. I put the real ingredients below, too, so you can experience the glory of eggs and butter when you make them. And btw, I totally stole this recipe from another witty food blog. That baker made these into whoopie pies, which is awesome. Unfortunately for me, when you make the frosting portion allergen-free, the consistency doesn't lend itself to neatly fitting (and staying) between two cookies, so I just set out the frosting as more of a dipping sauce. Turns out this was a genius move, as it became a dipping sauce for every single baked good on the table (fudge, oatmeal cookies, chocolate merengue cookies, pumpkin cake...). What was first unfortunate turned out to be glorious indeed. 2. In a large bowl, whisk flour, salt, baking powder, baking soda, cinnamon, ginger, cloves, allspice until well combined. 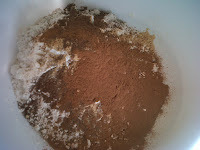 In another large bowl, whisk brown sugar and oil until combined. 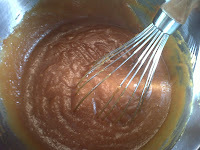 Add pumpkin puree to sugar bowl and whisk until combined. Add eggs and vanilla and...whisk until combined. 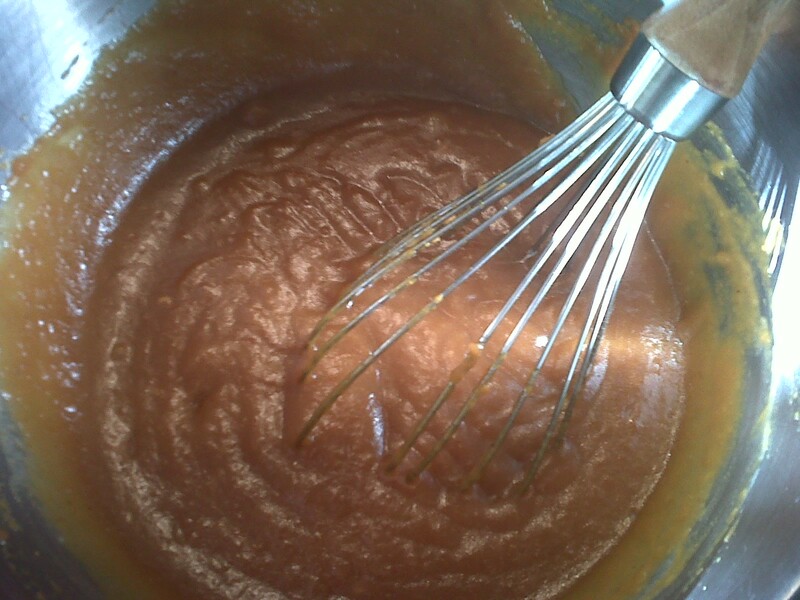 Add flour mixture to pumpkin mixture slowly, whisking as you go. 3. Scoop batter by about the tablespoon-full onto cookie sheets. 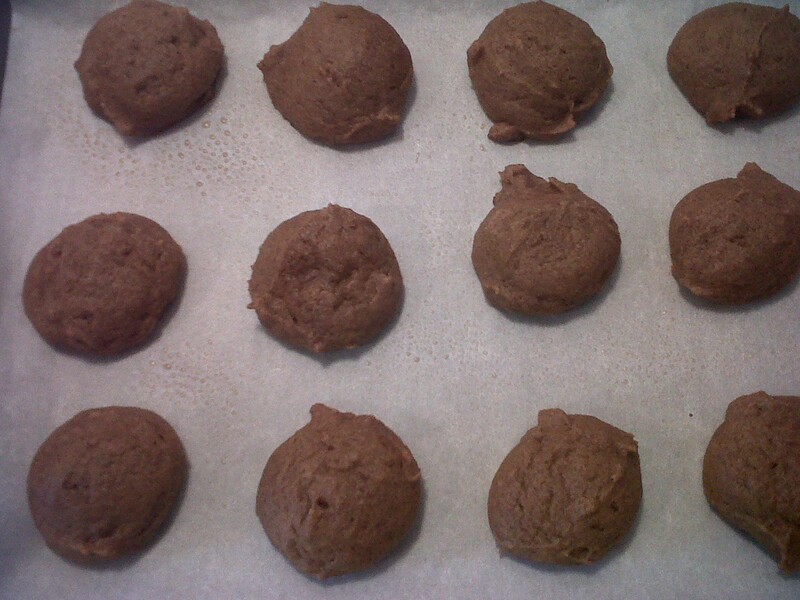 Bake at 350 for 13-15 minutes, until a toothpick inserted in the center of a cookie comes out clean. (You'll have to bake in waves, unless you have a super awesome giant oven that can handle 4 cookie sheets and still cook evenly.) Cool on the pan for 10 minutes, then transfer to cookie racks for complete cooling. 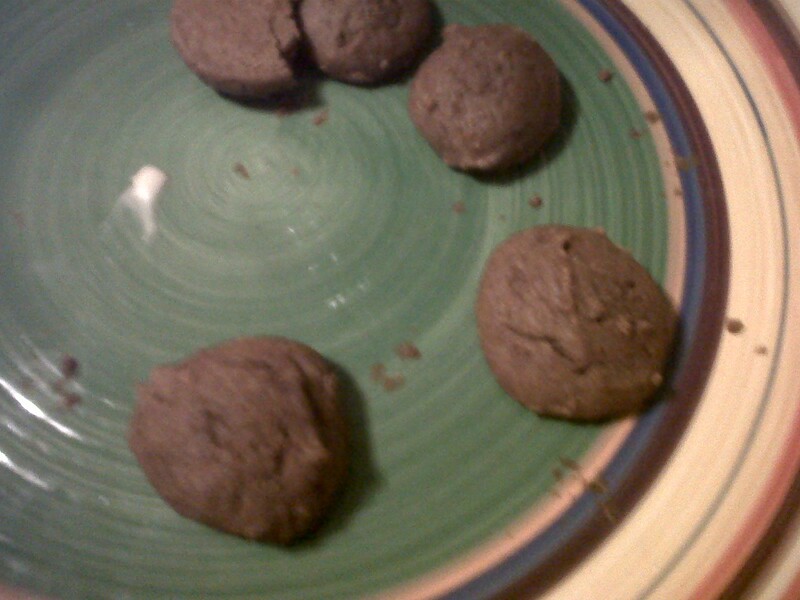 If you're going to make them into whoopie pies, wait until they cool completely. If not, feel free to eat right away. 1. Combine all ingredients in a mixer and blend until smooth, about 2-3 minutes. If you want to whoopie pie it up, place a tablespoon of frosting on one flat side of a whoopie. Press another whoopie on top. There. Whoopie Pie. Repeat til you're out of whoopies or filling. If you're the low maintenance type, put the frosting in a bowl and dip away.